Historically, dissolution testing has been used primarily as a quality control (QC) test for solid oral drug products1. Indeed, it is the only QC test which provides a measure of the quantitative release rate of the drug from the pharmaceutical product. More recently, the test has been proposed in lieu of bioequivalence testing2,3,4. However, can the same dissolution test have enough robustness (as per 5) to be used as a routine QC tool, whilst simultaneously being sensitive enough to be truly bio-predictive? This article will explore this conundrum. 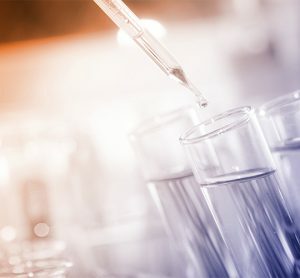 A recent United States Food and Drug Administration (FDA) guidance6 describes how sponsors can apply for waivers in lieu of in vivo bioavailability and bioequivalence testing based on a combination of the biopharmaceutics classification system (BCS) and in vitro dissolution testing. BCS classifies compounds into four categories based on their solubility and permeability characteristics. Highly soluble compounds are categorised as BCS class 1 (highly permeable) or BCS class 3 (poorly permeable) and poorly soluble compounds are classified as BCS class 2 (highly permeable) or BCS class 4 (poorly permeable). The objectives of the guidance was twofold: to provide a strategy to identify those clinical bioequivalence tests which may not be required and secondly, to recommend where dissolution testing can be used to replace bioequivalence testing, advising on methods for solubility, dissolution and permeability to aid in this classification. Some immediate-release products can be classified as having very rapid dissolution and in some instances the BCS classification can be used as a justification for a subsequent bio-waiver. Where the in vivo dissolution of an immediate-release product is very fast with respect to gastric emptying, and the drug solubility is high, then drug absorption is typically not affected by dissolution rate. Similarly, when the gastrointestinal tract transit times are rapid it is not always necessary to perform in vivo bioavailability or bioequivalence studies for BCS class 1 and 3 drugs6 . To support a bio-waiver, the drug substance must be shown to be both highly soluble and permeable (BCS class 1) and it must be rapidlydissolving, i.e., ≥ 85% of the analyte must dissolve in ≤ 15 minutes under the defined conditions and the excipients present in the drug product must not impact on the permeability and subsequent rate of absorption of the drug. 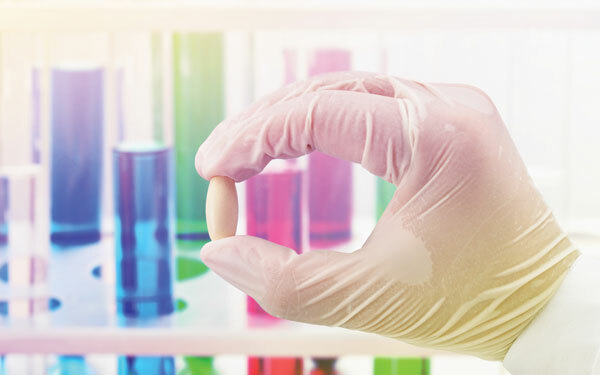 For BCS class 3 products, the drug substance needs to be highly soluble and rapidly dissolve, and the test product formulation is required to be quantitatively and qualitatively similar to the reference product. 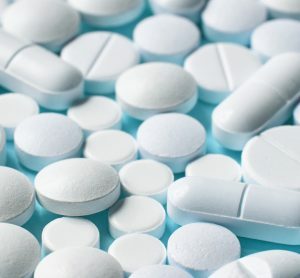 There are some instances where the FDA has stated that bio-waivers are not appropriate, i.e., narrow therapeutic range drugs such as warfarin sodium and products designed for absorption in the oral cavity6 . Data should be supplied to the agency supporting the solubility, permeability and rapid-dissolving classifications. 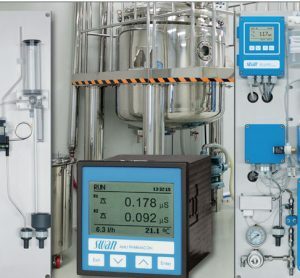 The information required to show that a drug is fast dissolving includes a description of the analytical methodologies such as the buffers used (typically, pH 1.2, 4.5 and 6.8), and a description of the batch (including lot, expiry, strength, weight and dimensions). Dissolution data from 12 individual units (i.e., USP stage II testing) of the test and reference products using the defined method conditions should also be supplied. The percentage label claim at each time point, mean, range, relative standard deviation and graphical output of the different dissolution profiles in the three media should be supplied. Interestingly, there is no longer a requirement to compare the dissolution profiles of test and reference using SUPAC IR similarity factors (f2). Recent commentators have indicated that SUPAC may not be applicable to the newer QbD submissions7. Other information required relates to the manufacturing process and excipients used. It is worth reviewing the dissolution test, its historical evolution and some of its significant limitations. The various different pharmacopoeias describe four main types of dissolution apparatus; one (basket), two (paddle), three (reciprocating cylinder and four (flow through) (USP<711>). The three main pharmacopoeias (Japanese; JP, US; USP and European; Ph. Eur.) are mostly harmonised, although there are some aspects which are unique to the individual pharmacopoeias8. 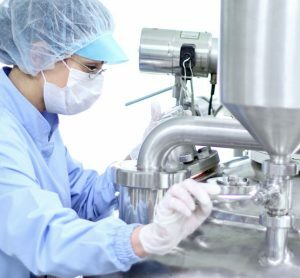 Apparatus one and two are the most widely used for QC methods, being routinely adopted to evaluate the drug release from a number of different solid oral formulations such as tablets, capsules and sachets. Historically, the dissolution test has attempted to maintain a level of in vivo relevance. For example, the various dissolution media were designed to mimic the pH of the gastrointestinal tract (i.e., pH 1.2-7.4), but these media were not compositionally identical to gastric or intestinal fluids; with differences in ionic strength, buffers, enzymes and surfactants. Traditionally, the most commonly-used media in QC environments were simulated gastric fluid (SGF, pH 1.2) and simulated intestinal fluid (SIF, pH 6.8). However, 0.01M HCl (pH 1.2) and, to a lesser extent, media with neutral pH’s (6.8 – 7.4) are now more commonly used. The dissolution test also typically simulates only one gastrointestinal environment, i.e., SGF or SIF. However, solubility and permeability work synergistically within the small intestine9, and for BCS class 1 drugs, the drug is rapidly solubilised and equally rapidly absorbed and removed from this dynamic system, facilitating further dissolution. The typical media volume is 900ml, but this has little biological relevance, since fasted gastric volumes are more likely to be about 250ml, with an additional 250ml being found in the small intestine, i.e., a total volume of ca. 500ml9. Two recent FDA guidelines have recommended the use of 500ml of media for highly soluble drugs6,10. 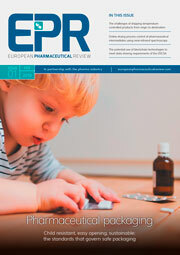 However, industry reaction has been sceptical, based on the non-alignment with European Medicines Association/Pharmaceuticals and Medical Devices Agency requirements (≥ 900ml) and concerns that the hydrodynamic mixing efficiencies with a reduced volume of media will likely be very different to the existing 900ml. One of the guidance documents10 does indicate that “although the hydrodynamics of the gastrointestinal tract are complicated and cannot be reproduced by the USP basket or paddle apparatus, a stirring rate of 100rpm has been found to be discriminatory for the basket method. For the paddle method, 75rpm can be discriminatory while minimising coning effects seen with lower rates. The acid conditions of the media reflect the conditions of the stomach whose volume is estimated at 250ml when a glass of water is co-ingested with the oral dosage form. This volume is too low for use with current basket and paddle apparatus; however, 500ml of media is commonly used and should be a sufficient volume of media for a highly soluble, rapidly dissolving drug”. These statements are undoubtedly true and can be independently verified when the test is performed using a media volume of ≥ 900ml; however, there is very limited data to support its contention when using the proposed lower volume of 500ml. Emmanuel et al. (2010)11 reported on the use of small volume dissolution testing to enhance the discriminating power of the method. The authors found that higher rotational speeds (ca. ≤ 2.5x) are required to obtain similar dissolution profiles compared with standard pharmacopoeial volumes. Additionally, the volume of media is often dictated by the requirements to establish sink conditions and to ensure that no drug precipitation occurs. For poorly soluble drugs (BCS class 2 and 4) this often necessitates higher volumes than are typically seen in the gastrointestinal tract, and support the use of ≥ 900ml. The temperature is set to 37°C to mimic the temperature of the body and the rotational speeds of the basket or paddle apparatus work to mimic the peristaltic motion displayed by the stomach and small intestine. However, the actual forces seen within the stomach provide a greater level of mixing than those produced by ether the basket or paddle using standard operational speeds, i.e., 100rpm for baskets and 75rpm for paddles12. The relationship between stirring rate and dissolution is governed by a power law relationship13. Rotational speed is a critical parameter to ensure adequate agitation of the vessel, thus enabling free movement of media throughout the vessel without impacting the integrity of the dosage form. Low agitation speeds are used to aid discrimination of pharmacopoeial methods14. In general, compendial dissolution apparatus (USP 1 and 2) often become less discriminating at higher speeds and yield flatter release profiles. However, with the regulatory requirements for lower speed, discriminatory methods can also increase method variability and cause incomplete dissolution/disintegration in paddle methods which often reflect artifacts of the system/method, e.g., coning, rather than being truly discerning15Counter-intuitively, higher rotational speeds can often be more discriminatory, as the high intrinsic method variability at lower paddle speeds, often linked with coning, can mask real differences in the formulations, whereas higher rotational speed markedly reduces method variability allowing these differences to be observed15,16. A dosage form containing large quantities of insoluble excipients can be anticipated to form a cone at the bottom of the vessel, irrespective of whether the formulation contains poorly soluble or highly soluble drugs, but the impact will be more significant for the former17. Other factors that appear to influence coning are particle size, shape and effective density, fluid density and viscosity, as well as apparatus configuration and rotational speed18. The most widely used of the dissolution apparatus is apparatus two (paddle). This is poorly designed from a hydrodynamic perspective and exhibits high levels of variability. There have been several studies with USP calibration tablets which have proved this19,20. In one such study, 50% (15/28) of the testing laboratories taking part failed the requirements for the USP Calibrator tablets. The pharmacopoeia control some of the physical and mechanical parameters but there are some non-controlled parameters such as shaft centring, shaft height, rotational speed, vessel or shaft tilt, wobble, vessel variability, basket mesh sizes, wear of baskets and paddles, tablet position in the vessel, coning of product, analyst and analytical variability and non-homogeneity of the product21,22. A recent study submitted to the FDA, which looked at the hydrodynamics and mixing of the paddle method apparatus using computational fluid dynamics, showed significant differences in the flow and shear rate at different positions along the bottom of the vessel23. These conclusions were confirmed by other parties24,25. There is a ‘dead zone’ region directly underneath the paddle, and therefore the table/capsule position is critical to the dissolution result of the product; often small changes in position can produce large differences in dissolution rate. This in turn results in significant variability with the results23. Rozet et al. (2012)26 argued that the maximum allowable intermediate precision of the method, which is a measure of this variability, should be included in the analytical target profile (ATP) for all dissolution methods. The same authors also proposed the adoption of ‘guard bands’, which can be applied to dissolution specification limits to reflect the high intrinsic variability and uncertainty associated with dissolution data. There have been several attempts over the years to overcome this intrinsic design flaw, e.g., peak vessels27, tilted vessel17, crescent shaped spindles28, ‘mega’ paddle29, metal strips30, permanent in-line probes acting as baffles31 and the off-centre paddle32. None of these approaches have managed to gain general support across industry, academia or regulators. In summary, it is debatable as to is whether a single dissolution method can ever be both robust (QC tool) and sensitive (bio-predictive tool)? The intrinsically poor design of the dissolution apparatus from a hydrodynamic mixing perspective would argue that this is a hugely difficult challenge and that in the majority of cases a single dissolution test cannot effectively perform both tasks. Meanwhile, efforts to increase discriminatory power (reduced stirring speed, lower volumes) tend to produce test conditions that display poor hydrodynamic mixing ability that typically lead to incomplete disintegration and/or dissolution, i.e., coning, increased method variability and reduced robustness. ICH Q2(R1). 2005. Validation of analytical procedures: Test methodology, current step 4. November 2005. Spagnoli S, Di Maso M. A Comparison of USP Paddle With Crescent-Shaped Spindle Dissolution Profiles. Dissol. Technol., August 2006, 20-25. Juliet Symonds is an investigator at GlaxoSmithKline and has been with the company for 14 years. Juliet has a combined BSc degree in Chemistry and Biochemistry from Nottingham Trent University. She started her career as an Analyst within GSK production in the respiratory QA department before joining R&D in 2005 where she worked as an Analyst on both respiratory and solid oral dose products. It was here that she took on technical roles related to dissolution testing. Juliet moved to her current role in R&D in 2009. Her primary role is leading the analytical support required for GSK blinded comparators for use in clinical trials. She is an active member of the GSK dissolution technical network focus group (DSTN). Dr. Elder obtained BSc and MSc degrees in Chemistry from Newcastle upon Tyne, before he moved to Edinburgh to study for a PhD in Crystallography. He is a visiting professor at King’s College, London. Dr. Elder has 37 years’ experience at a variety of different pharmaceutical companies (Sterling, Syntex and GlaxoSmithKline). He is currently a Director within the product development group in GSK R&D. Dr. Elder is a member of the British Pharmacapoeia (Expert Advisory Group PCY: Pharmacy), a council member of the Analytical Division, Royal Society of Chemistry (RSC), UK and a council member of the Joint Pharmaceutical Analysis Group, UK. He is a fellow of the RSC (FRSC) and a member of the Royal Pharmaceutical Society (SRPharmS). He has co-edited one book on the Analytical Characterisation and Separation of Oligonucleotides and their Impurities.